If you are looking to expand business with Google Plus Post ads or Google Plus engagement please reach out to me at jwojdylo@gmail.com. I offer several packages that can help you get more comments, +1s and reshares of your content which, in turn, will lead to more revenue. 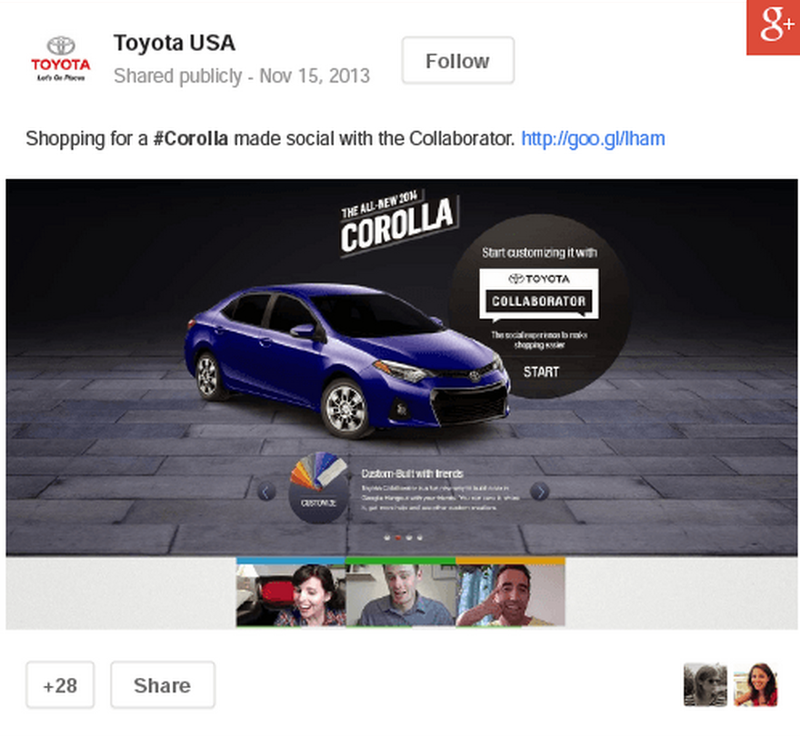 In April 2014 Google finally released Google +Post Ads to the public. In December of 2013 the announcement was made on Google Plus but the opportunity to create an online advertisement was not available. As soon as the announcement was made brands and businesses were scrambling to see if they could use this as an extension of their Internet Marketing program. There was one big caveat to the announcement. Brands or business pages must have, at least, 1000 followers on Google Plus to qualify for Google Plus Post Ads. If a business page or Google Plus local page does not have greater than 1000 followers than cannot create the Plus Post Ad through Adwords. Those that are very active on Google Plus started to pump out articles left and right without even testing the product. This is not uncommon. What they did not realize is that businesses were not concerned about how the ad looked or how it worked. Businesses were much more worried about the number of followers. This has become common across the board whether it be Facebook, Twitter, Instagram, Pinterest, LinkedIn or Google+. The larger the following the more eyeballs will see posts or ads. As more and more businesses realize the value of Google Plus and Plus Post Ads it makes sense that they will devote more time and money to the platform. In the past two years most have been enamored with Facebook, Twitter and Instagram but Google Plus is now bursting onto the scene. If you want to get more business through Google Plus Post Ads there are a few ways to do so. One of the first things to receive the optimal engagement on Google Plus is to format posts. While there is no right or wrong way to do any type of social media it is obvious that a bold title and hashtags greatly helps a Google Plus post gain traction. To bold any phrase or word on Google Plus you simply use the * (shift 8) directly before and after the word or phrase. There is also an opportunity to italicize words. You can do this by using the underscore or _ character directly before and after each word or phrase. To put emphasis on words in a Google Plus post I would strongly suggest using both bold and italics. To polish off the formatting it never hurts to put one or two hashtags at the end of the post. This will allow users to click on the hashtag to get posts similar to that subject matter of which some may be yours or your company’s. If you are willing to learn how to properly format a Google Plus post you are well ahead of your competition. Time and again I see companies trying to share to Google Plus yet they use it like Facebook or Twitter. Some SEO companies or Social Media companies are still trying to put posts on autopilot through Buffer or Tweetdeck and it simply does not work as well on Google Plus. If you want to get the most out of your Google Plus posts or Plus Post Ads it would be smart to do it manually. One of the most common questions I get asked is, “How do I grow a following on Google Plus for my business page?” I have created this resource to help answer that question. One of the most important things to remember is that growing a following on any social network takes consistency. If you share one post a week for three weeks sporadically you will find that it is difficult to get more followers. If you consistently share a daily post at 4:00 pm est you will notice that more people engage and start to follow. It is human nature for individuals to desire things at the same time. Most of us go to bed around the same time every night and we eat dinner after work. We stop for lunch around noon and watch evening sitcoms or dramas at 8:00 or 9:00 pm. These consistent aspects of life allow TV shows and evening groups to grow. When you see the same group of people playing board games at Panera every Wednesday night you know where you can go to play board games. The same is true when it comes to social media. If a user or business can remain consistent on social media there is a higher likelihood that they will get more followers and their view count will grow. Anyone that has taken a marketing or advertising class knows that it takes seven or eight impressions for a user to remember a name or brand. If this is the case it would be smart to continue to share social media posts at a specific time for two full weeks. This is when most will finally start to take notice and realize that particular business or individual. In late March 2014 Google Plus started to show the total views for a business page, local page or profile. While this is not likely going to be a ranking factor in search it is a number that will be looked at as a benchmark. When posting a Google Plus Post Ad you will find that the views increase. Unfortunately, businesses and profiles will have to pay for these views through Google Adwords. There are many major businesses that have very deep pockets. Companies like Best Buy, Target, WalMart and Ford have millions to throw at a marketing budget. They will be able to set the daily price maximum at thousands of dollars rather than small businesses setting the maximum at $20 or $40. With the cost accruing through views and “hover overs” it stands to reason that this money would run out very quickly. For the most part, it would be a great branding opportunity for businesses that want to display photos and videos in ads rather than just text based ads. I personally feel as if views are going to be very important as we move forward in the social media marketing era. Big businesses are going to want their view counter to be huge. If the strong competition have more views it will become a major issues for industry leaders. This is something to think about if you are a car dealership, doctor, dentist or lawyer. If the personal injury lawyer across town has 2.5 million views and you only have 4,500 views what does that say about the marketing efforts? It never hurts to do a little research and sink some effort into the different Google products. Most businesses have the desire to rank in Google search. While some may say that Google Plus does not affect search it is hard to argue that it does not. Google created the product to help them improve search. If nothing more, businesses will be able to directly affect search results of those that follow them. This could be very important for future sales. Car dealerships, photographers, hospitals and other service type businesses would truly benefit from “selling” to past customers through Google search results. If this type of lingo is foreign to you do not be concerned. These are all things that have not happened yet but will happen in the future. That said, it is still smart to increase engagement and frequency on Google Plus today as it will only help with the growth of a business. Internet marketing has changed drastically over the last decade. Less than 20 years ago business owners and advertisers did not have the option to purchase ad space on Google search. What some may not realize is that Google Ads is how the company makes the majority of its money. The huge earnings reports are because businesses are willing to pony up the money to have their ad show up on the front page of Google search. Some businesses will pay an SEO firm or an SEO agency for the organic search ranking on the front page while others will spend the $15 to get that top spot in the Google ads. No matter which route your business chooses it is important to acknowledge that searchers are willing to spend money. Those surfing Facebook, Twitter and other social networks aren’t in the “buying” mood. When someone is actively searching for a service or product they are going to likely make that purchase in the very near future. This is one of the reasons Google continues to dominate in terms of Internet marketing budgets. When it comes to increasing eyeballs to a product or company Google Ads are a great way to go. You can improve the branding by creating effective and engaging Google Plus Post Ads. Unfortunately, most businesses are not well adept at making Google Plus Posts that catch they eye of a searcher or an Internet user. I offer services that will help all businesses better create Google Plus Posts that are effective and engaging. Please feel free to reach out to me at jwojdylo@gmail.com if you are interested in working with me. We can form a business relationship that helps you create better posts which ultimately will help you get more business. Using proper formatting, shortened links and photos or movies can go a very long way towards getting users to hover over the advertisement.